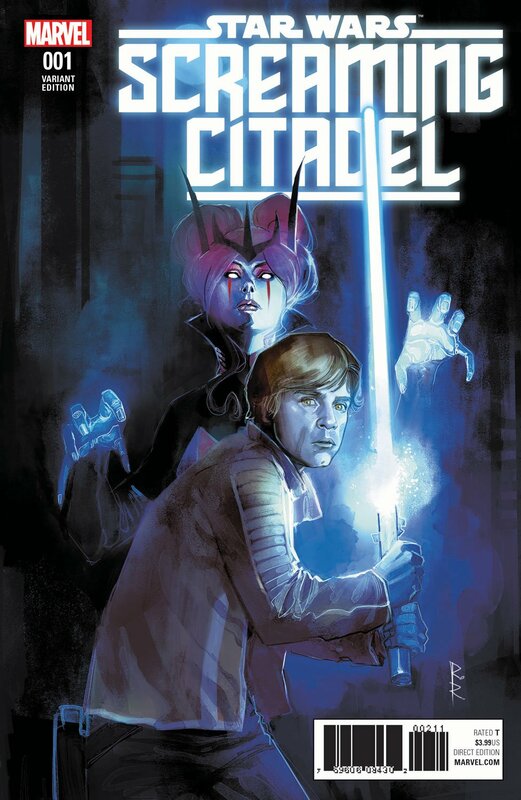 If The Screaming Citadel #1 is any indication, this second Star Wars crossover is simply unmissable. Jason Aaron and Kieron Gillen have been working on Marvel’s Star Wars comics since the company relaunched the range back in January 2015. They’ve built up a wealth of experience and in their previous event – Vader Down – they proved to be a formidable team. 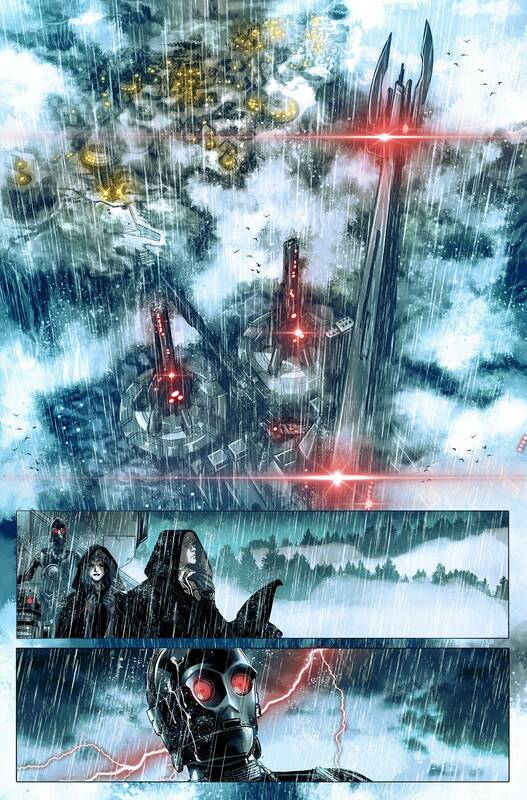 Can they live up to their reputation in this second Star Wars comic book event? In a word: Yes. The last few years have seen Lucasfilm experimenting with a wider range of Star Wars fiction than ever before. Claudia Gray’s novel Lost Stars, for example, is a young-adult romance that’s generally viewed as the best book in the new canon; Alexander Freed’s Battlefront: Twilight Squadron was a hard-edged military tale, and it’s soon to be followed by Christie Golden’s Battlefront II: Inferno Squad. Now, the comics are finally embracing the diverse setting that is our beloved galaxy far, far away. You see, The Screaming Citadel is essentially a Gothic horror story. This time round, Kieron Gillen has taken point, and as a result he’s penned one of the strongest issues of his career to date. 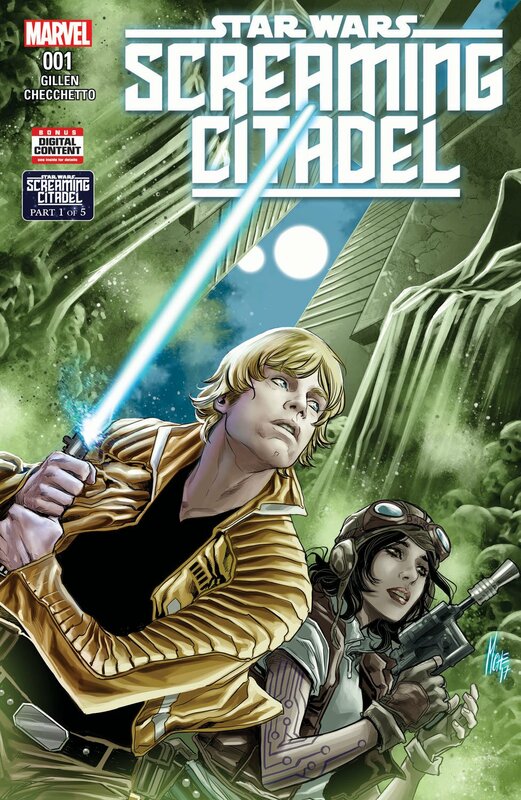 Launching an event that will run in both Jason Aaron’s Star Wars and Gillen’s own Doctor Aphra, The Screaming Citadel #1 sets up an unlikely partnership that proves simply delightful. For the uninitiated, Doctor Aphra is a sort of rogue archaeologist who’s a cross between Indiana Jones and Han Solo. 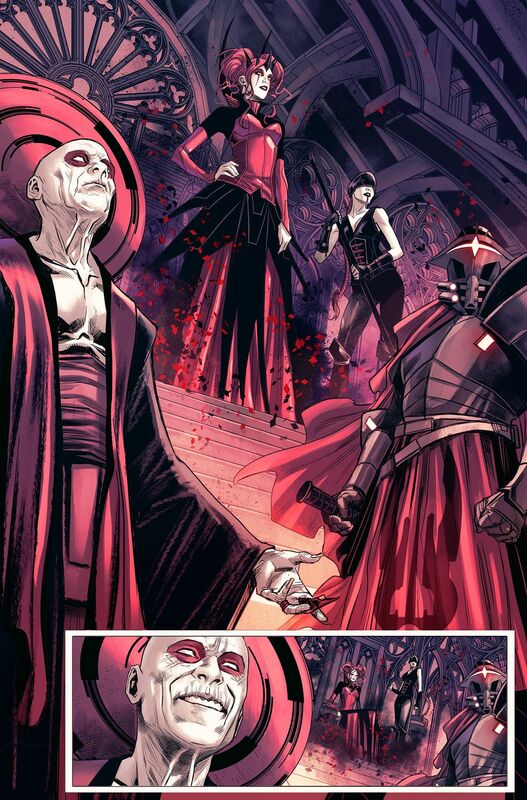 Gillen introduced her in his Darth Vader run, where she was forced to work for the Dark Lord. She proved popular enough that, when Gillen drew that tale to a close, she got her own book – and it’s a good one. Now, Gillen’s ongoing narrative has brought Doctor Aphra to a place where she needs a Jedi Knight. She has a Force-artefact she needs to be unlocked, and she figures Luke Skywalker is her only hope. 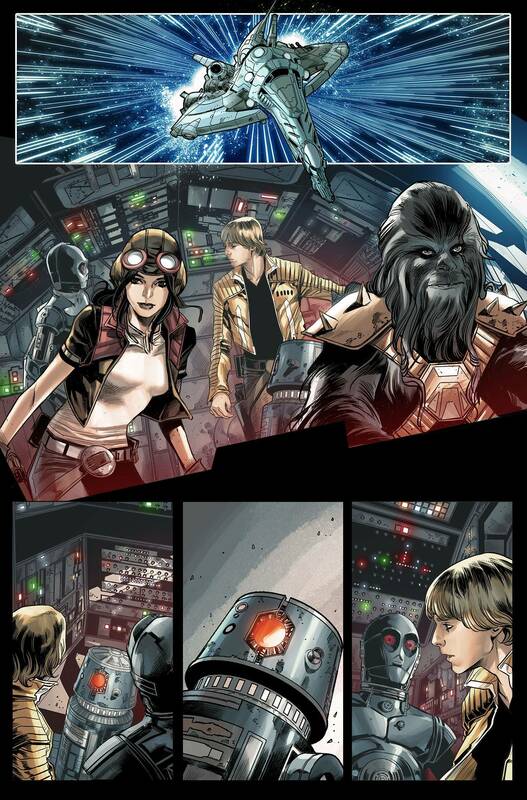 So, we see Doctor Aphra strike a deal with Luke. She gets to unlock the artefact, he gets Jedi knowledge. The only one who can unlock the artefact? The Queen of the Screaming Citadel, and once a year she proposes meeting with a unique being. Doctor Aphra sells it as a privileged chat, but the first issue makes it pretty clear that most of those who meet the Queen don’t survive the encounter. 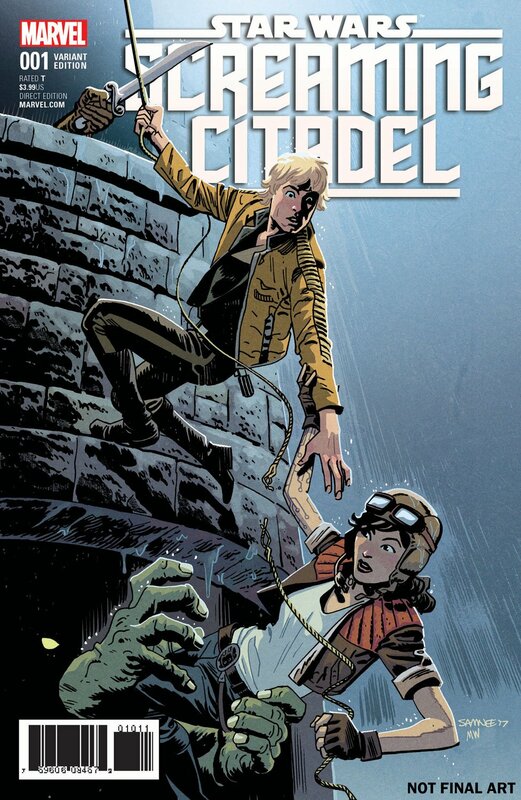 The Screaming Citadel is a beautiful book, with a tremendous artistic team who really make Gillen’s script crackle. 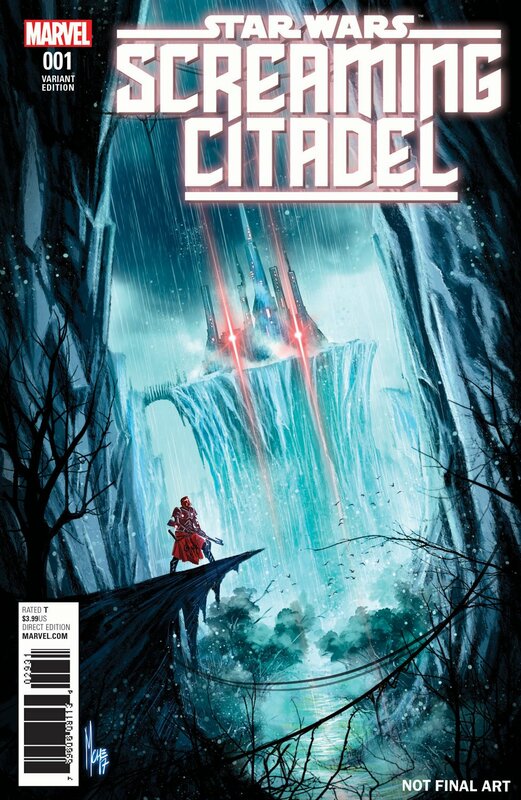 Marco Checchetto’s world-building is phenomenal, and the titular Screaming Citadel is beautifully rendered. I can see why Gillen thinks this book will be a gift to Star Wars cosplayers; you can tell how much care and attention has gone into every single character design. 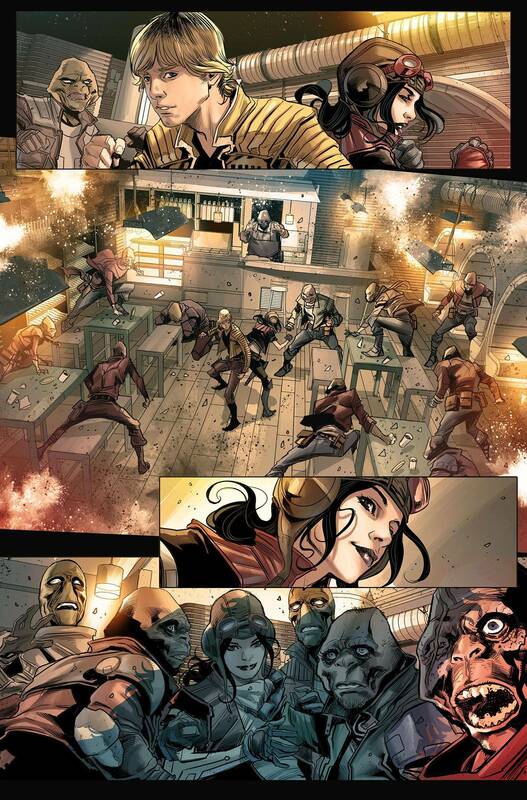 Meanwhile, Andre Mossa’s coloring is absolutely wonderful, conveying a range of tones and locations effortlessly. Every planet is different – from the Rebel outpost on Horox III to the Screaming Citadel itself, Mossa carefully uses the colors to give a sense of place. Artistically, this is one of the best Marvel comics I’ve read in years. At the same time, Gillen’s script is a joy to read. The issue is a character-piece, playing Luke off against Doctor Aphra, and the dynamic is absolutely hilarious. Gillen captures Luke’s character so very well, and he uses Doctor Aphra to make you see Luke in a slightly different light. Aphra is playing Luke as the naive farmboy, and quite enjoying the experience. Checchetto reinforces the script by perfectly capturing their facial expressions; he runs the whole gamut, from outrage to irritation, from awkward flirtation to sheer amusement. It’s tremendous. 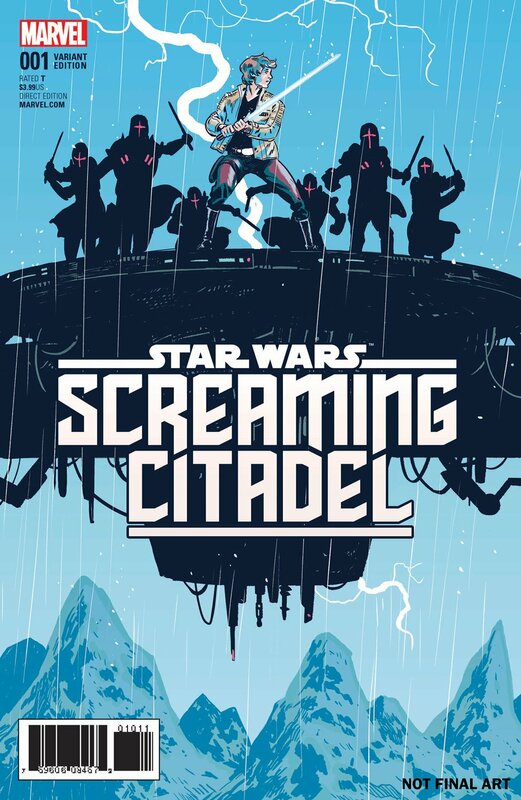 Simply put, if The Screaming Citadel #1 is any indication, this second Star Wars crossover is unmissable.